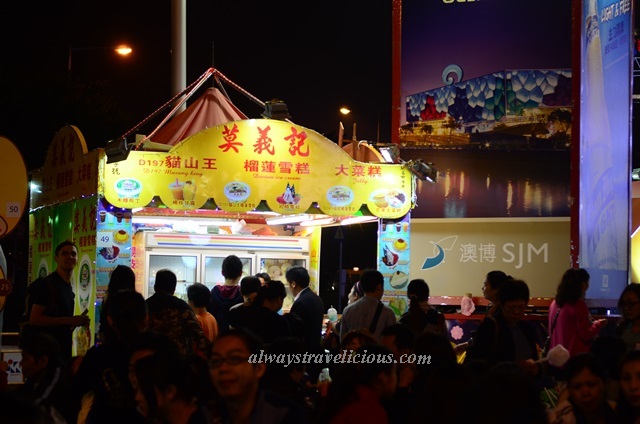 Macau Food Festival - Always Travelicious ! 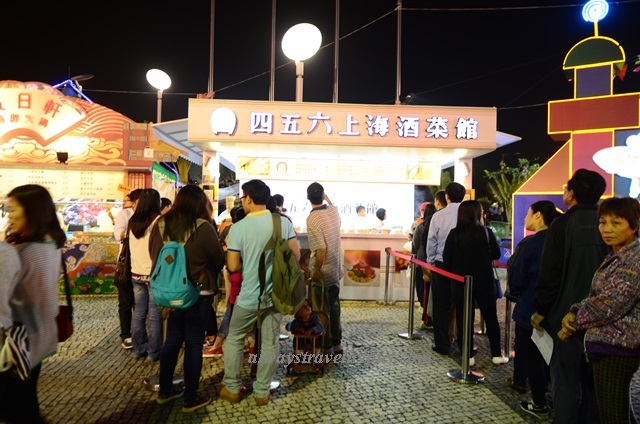 The annual Food Festival in Macau draws more crowd than ever, celebrating the diversity of food in Macau. It gets even better than that because international restaurateurs are invited to participate in this event, presenting authentic flavors from their home countries. Last year, it was restaurateurs from Thailand and this year, it’s restaurateurs from Kasai of Japan. 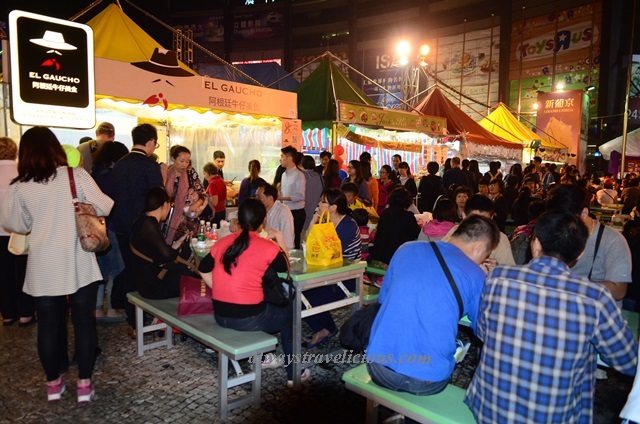 The Food Festival takes place just beneath the enchanting Macau Tower, with hundreds of eateries at your disposal, including many popular restaurants, local “must-eats” and restaurants from posh hotels, all conveniently gathered at one location for you to embark on a gastronomical journey. 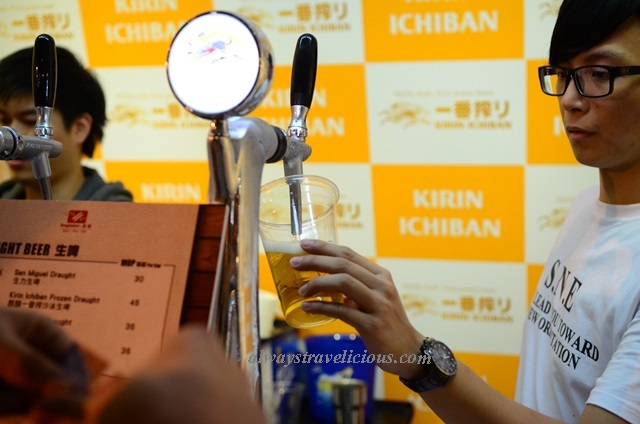 To start off with a refreshing drink, we had Kirin beer which is not your typical beer as it is “frozen” Kirin beer. The beer was of course superbly cold with the white foams all mushy and had the texture of slurpee. 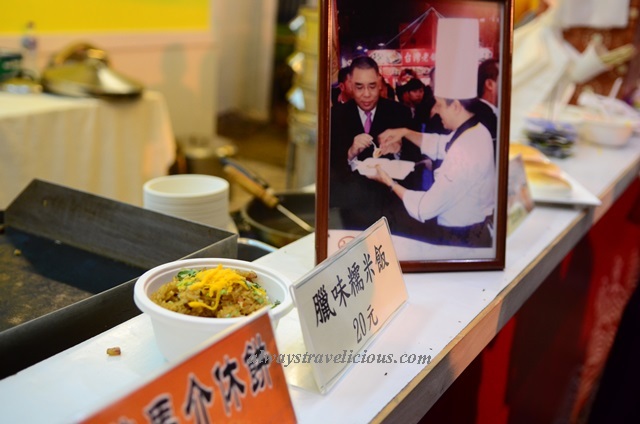 The glutinous rice from Li Jing Xuan of Riviera Hotel became a famous dish when the Chief Executive of Macau requested for this dish – also referred to Chief Executive’s glutinous rice. 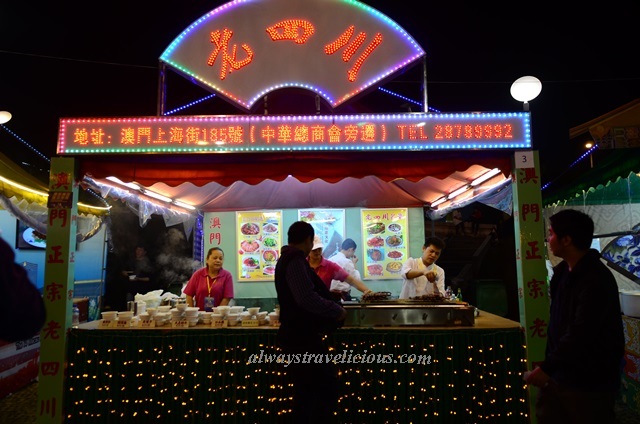 The salted fish buns were fluffy with the fusing flavors of salted fish and minced meat. We tried the trio of chicken, noodles and beef slices from Old Sze Chuan Restaurant – all smothered with numbing and spicy flavors of Sze Chuan. 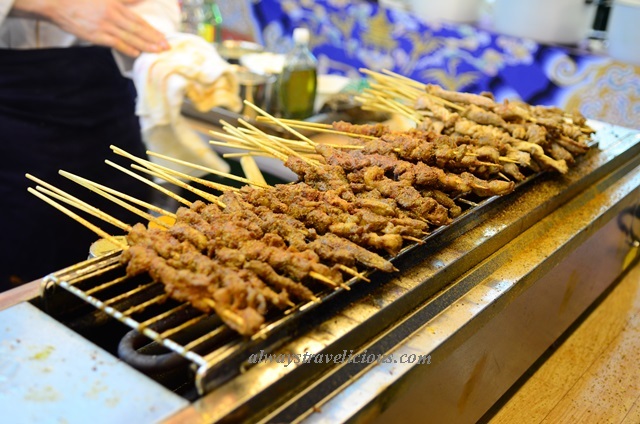 The skewered mutton was just as fiery. This Shanghainese restaurant has an amusing name that’s really easy to remember – it’s called “Four Five Six Shanghainese Restaurant” – popular for xiaolongbao. The xiaolongbao was a bit cold by the time I got to try it because we had to buy it from the stall and walk some distance back to our table, but nonetheless filled with juicy essence from the meat. 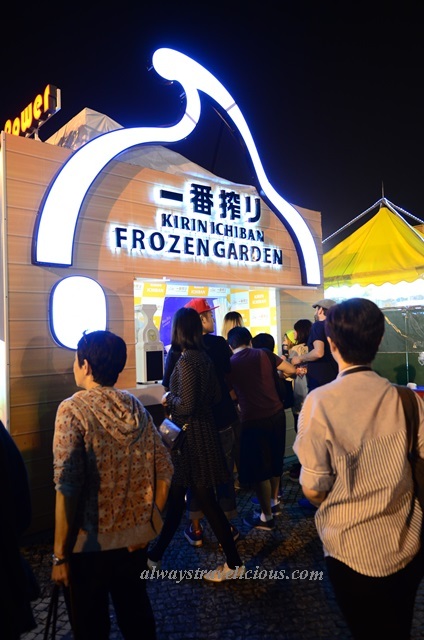 For this year’s Food Festival, there is a whole section dedicated to restaurateurs from Kansai of Japan. 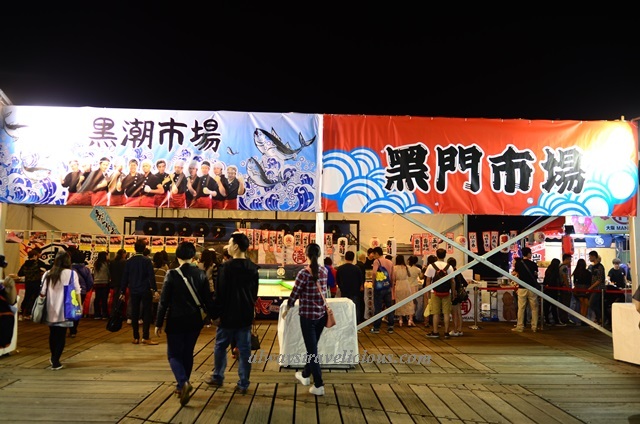 With the typical Japanese fish market, the smell of grilled seafood that permeates the air and Japanese pop songs in the background, this section is as Japanese as it can get. 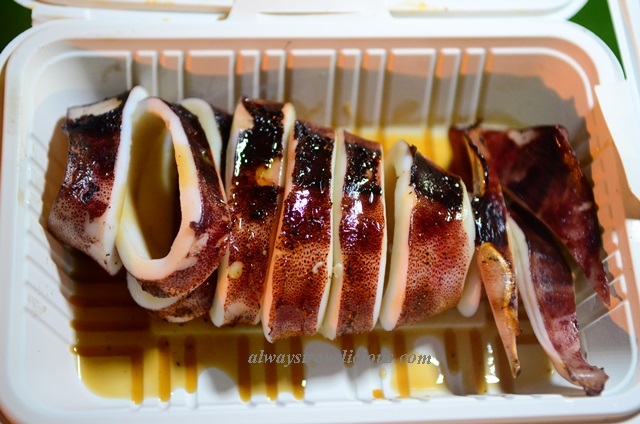 lightly charred seafood, and many more items such as sushi and ramen. Here is our fantastic dinner spread! 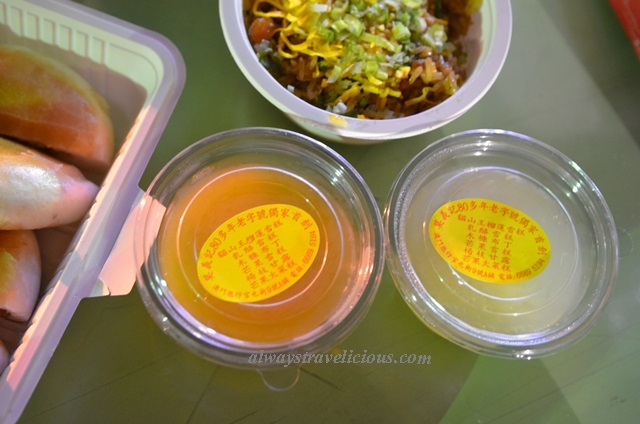 As for dessert, we picked two traditional Macanese desserts – the serradura and the agar agar. 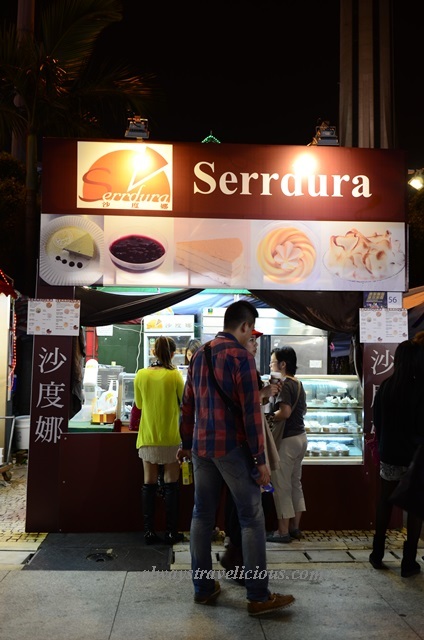 Serradura is also known as “saw dust pudding” and an absolute must-try when you are in Macau. It is like an upside down cheese cake – with the thinly-shaven cookie crumbs (hence the name “saw dust”) generously sprinkled on top of the pudding instead of compressed at the bottom of the cake. The pudding is smooth, intensely milky and comes in various flavors like strawberry chestnut. While the cake is commonly seen in Macau, the Serrdura Cafe specializes in this dessert. 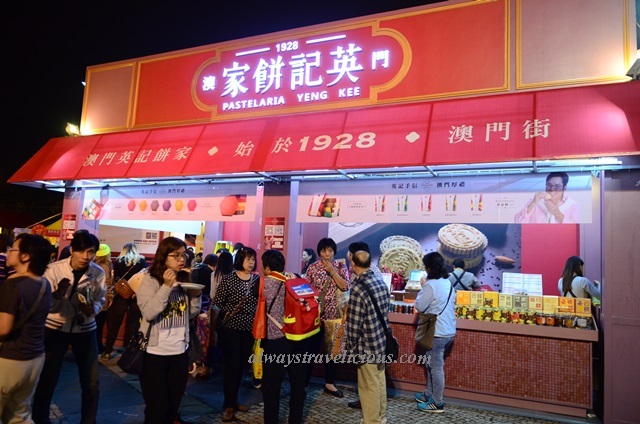 The agar agar / ice cream store “Mok Yee kei” has some 80 years of history, with the original store located on Rue do Cunha in Taipa. We tried two flavors of agar agar – egg white and mango – both with a crumbly texture and feathery light flavor. 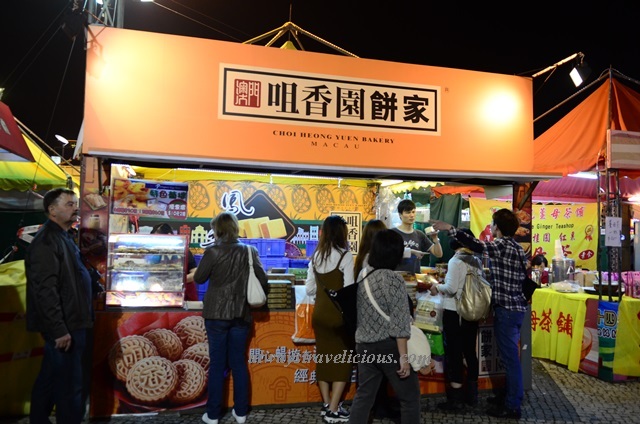 On top of trying all kinds of food at the festival, many classic Chinese bakery stores have their booths there – such as Yeng Kei, Koi Kee and Choi Heong Yuen. It’s the best place to make a comparison, whether it’s in terms of price or flavor. 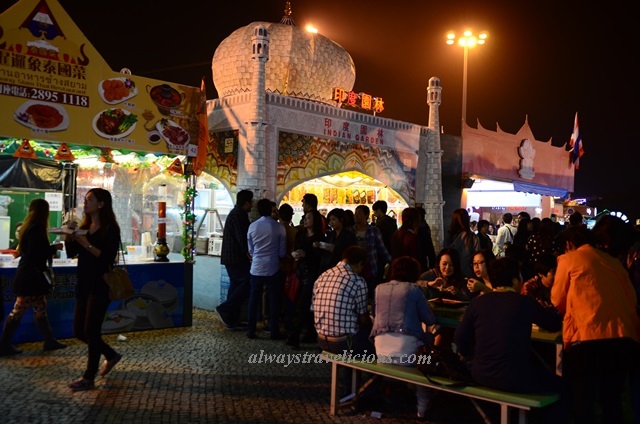 And lastly, the Macau Food Festival serves a wealth of food – many which we had no more stomach for, including Indian, Thai, Portugese and South American. We spent one night at the festival and it was definitely not enough to savor everything so it might be a good idea to be there for two nights or more ! 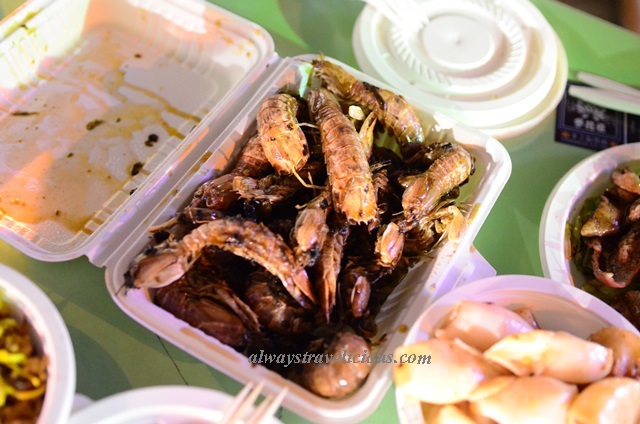 **This post is written in conjunction with FAM trip provided by the Macau Government Tourist Office. The event is held annually in November. It was a good feast ! wow, I just knew about this and it looks fun! if i go to macau again, it will be in november.